Can I run a 50Hz motor on 60Hz power supply? You see the number of revolutions that an electrical motor turns is dependent upon the cycles per second (Hertz) that the alternating current (AC) is changing. A motor that is designed to run on 60 Hz and is plugged into a 50 Hz power supply system will turn 17% slower, the internal current will go up 17%, the amount of power (watts) will go down 17%, and the appliance mechanical cooling will be 17% less. The end result will be that the motor will be using a higher current then what the motor was designed for, and this in turn will burn up the insulation of the electrical wiring which can result in burnout which could cause a fire because of the excessive heat. An induction motor designed for 60 Hertz which is running from 50 Hertz power supply will draw more power and run hotter and slower. But this is unlikely to burn up the insulation and cause an outright fire unless the motor was designed poorly and running very hot on the proper frequency to begin with. Still, the consideration of smoke and fire is disturbing. The extra heat can be compensated for by using a fan or larger fan on the motor shaft to cool the motor. Since output is proportional to torque and RPM the difference in output will be 1/6th less if a 60Hz equipment is changed to 50Hz. This occurs a lot with trailer mounted recap equipments. If the appliance has reduction gears (smaller frame gas turbines and aeroderivatives) then the gearing can be changed to keep the output from changing. Thus, larger frame gas turbines (i.e. no gearboxes) can't be swapped between countries with different frequencies, but equipment with reduction gears can be. I've seen an entire plant relocated from 60Hz to 50Hz power system and some areas of the plant had significant problems due to the slower motor/pump speeds. Some equipment needed 50Hz to 60Hz converters to operate properly. Aside from motors, in principle there is very little to choose between 50 Hz and 60 Hz. 50 Hz is slightly better for long distance power transmission because the power loss in the overhead lines is less. But a 50 Hz transformer needs about 17% more iron in it so it is are bigger and heavier. When you use frequency converters for appliances, you'd better be careful in selection of the frequency converter. a 460v 3ph 60hz motors, runs 380v 3ph 50hz power supply, what will be the result? it may over heat? 60Hz motor will run 20% slower on 50Hz power supply, this also results in 20% less power. Basically, running the electric machine slower usually means it will be demanding less power. That's good, as the motor also decrease 20% of its power, and the cooling fan is slow down too. The motor will still work, but it will be noticeably slower. The critical factor is the V/Hz ratio, keep the V/Hz ratio same, and connect 20% less loads, it may not result in overheat. a 380v 3ph 50hz motors, runs 480v 3ph 60hz power supply, what will be the result? 380v 3ph 50hz motor runs on 480v 3ph 60hz power supply will trigger the motor overvoltage protection. 220v ,50hz circular saw to 220 v,60hz power supply. What will behappened? Hi, the title says "Can I run a 50Hz motor on 60Hz power supply?" but all that is discussed is a 60Hz motor on 50Hz power supply? I have a 50hz rated machine tool from Germany that is running on our 60hz US plant power. Is this an issue? a clipper bought in Australia with (230v and 50Hz) when I used in Philippines with (220v and 60Hz) power system - motor run but is became slower can not even cut hair. What things I need to do - so that I can still use it to its maximize power? Can i run a 60Hz motor on 50 Hz power supply ? I have operated my 230V 50Hz Hammer Drill for many years on American power. BUT . . . I usually run it from 120V 60Hz supply. And that is good for most jobs. But the torque is down. I only ran it from the 240V 60Hz occasionally when I did need the extra power. Drilling one, 1" hole through 10" of steel reinforced concrete took me about 7 hours. :-( . . . . . Most of that time was to allow the Motor, yes, the Motor, not the outside case, to cool down between drilling sessions. The drill is still in working order. I should have mentioned, do not run a 230V compressor motor from 120V. It will probably stall or fail to start, so could burn out the motor. I believe that we are in agreement that this 50Hz motor will fail prematurely when running on 60Hz due to the extra load that it will see as it tries to spin the motor faster. However, the mathematical model that requires that you must increase voltage as you increase frequency was used by the earlier VFDs and was based on the motor being purely inductive (which it is not) and was only used when the motor was operated at a frequency below its rating. These primitive VFDs were marketed as producing constant torque (constant current) below rated frequency and constant power (actually constant voltage) above rated frequency. If this model were applied in this case, the 50Hz motor would be running above rated frequency, so it would be supplied the same voltage at 60Hz as it was designed for at 50Hz. Given that the voltage on the 60Hz system is probably 240V and the motor is rated at 220V it would probably operate acceptably if it were driving a load where the torque requirement decreased with speed. Unfortunately, like compressors running on closed systems have a roughly cubic relationship between speed and torque requirements, so this motor can be expected to fail prematurely. What will be the affect of frequency 50 Hz or 60 Hz on motor stator and rotor resistance as for one of my motor, I changed frequency from 50 to 60 Hz by VFD and after that my motor stator and rotor resistance increased by 2 ohms so anyone else face this before? And is it normal? The motor designed for 50 Hz is being supplied with 60 Hz through a VFD is really not very clear. The increase in frequency shall reduce the development of Torque @ 1/f cube during starting and @1/f square during running. Therefore with load coupled the system may not even accelerate for heavy reduction in Torque. So the timing of increasing the frequency is very important. With normal voltage if the frequency is increased during running the speed will go up by 20% with reduction in Torque. If the motor is not designed for 20% over speed it is matter of time for the winding damage. 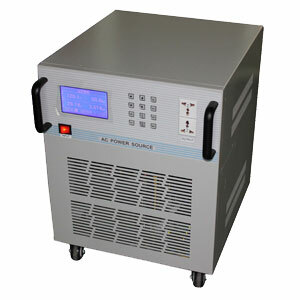 A VFD is normally used for soft or controlled starting as well as Controlled operation of the driven system. I bought microwave oven didn't aware that it's only 50hz and I send it to my country of which electricity is using 60hz what would be the remedy? You can buy a GoHz frequency converter, it can convert 50Hz to 60Hz, and 60Hz to 50Hz, along with step-down & step-up voltage feature. My battery drill Charger is 220v and using 50hz, can I charge it in 60hz outlet? I have a German serger machine that requires 220-240v ~ 50-60Hz 100W. Can you please recommend a converter that would work? I want to run a motor with No torque loss @ 60 Hz using a VFD and a input power of 50 Hz, 380V. Is it possible and will it work? If we want connect drilling rigs with city power station 50 HZ and our rigs 60HZ ,what we want to can run this rigs? Can I run 220V 50Hz (Lab Magnetic Stirrer with heating plate) on 220V 60Hz Power Supply? and what will be the result if I run it on 60Hz? Can i run a 50Hz motor on 60Hz power supply ? Hi Good Day. can i ask question ? i bought the same machine like in your topic . Xray machine for human health. This unit is 100mA mobile x-ray unit 180- 240 V and 50 Hz, in other words i cannot use this machine here in philippines? I have a Be&sco Betamax oven that runs on 60Hz and now i have relocated this oven to a country that has 50hz power. I have read that there will be a loss of 17% speed and power while a decrease in fas speed which may result in over heating. Please advise if i need to use some converter to push the power from 50Hz to 60Hz.? On the other hand, i have an rotating over that you can check by name given above and it also comes with a Wedge press unit (Be&sco). Kindly give me some thoughts, if possible. I have a 230V/50Hz motor. It has a connections for Line, Neutral and Ground. To run it on US 220V/60, how do I wire it? Line to one hot and neutral to the second hot with no neutral and ground to ground? The question is: Can I run a 50Hz motor on 60Hz power supply? Your answer is talking about 60hz motor run on 50hz power. ??????? Hey numb-nutz, the question was to run a 50hz motor on 60hz service, not the other way around as you commented. Please read the question next time. what should I do to run these appliances. You are an idiot. The question was... Can a 50 cycle motor run on 60 cycles. Your answer was the other way around. IF YOU CAN'T READ DON'T GIVE ERRONEOUS INFORMATION ! can i use a 220V, 3ph, 50Hz on 220V, 3ph,60Hz supply? can i use a 220V, 3ph, 50Hz UV light on 220V, 3ph,60Hz supply?